A hotel on a grand scale, guests take an escalator down to the lower-level entrance lobby, which is actually more like a small village, with enough check-in desks for an airline, a comfortable lounge and bar, and a restaurant space behind a low barrier. Off this expansive open-plan area are facilities including shops, a shoeshine area and a Fed-Ex office. 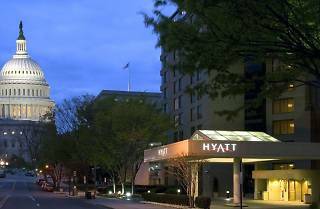 The Hyatt Capitol Hill is the sister hotel of the more styled and expensive Park Hyatt. 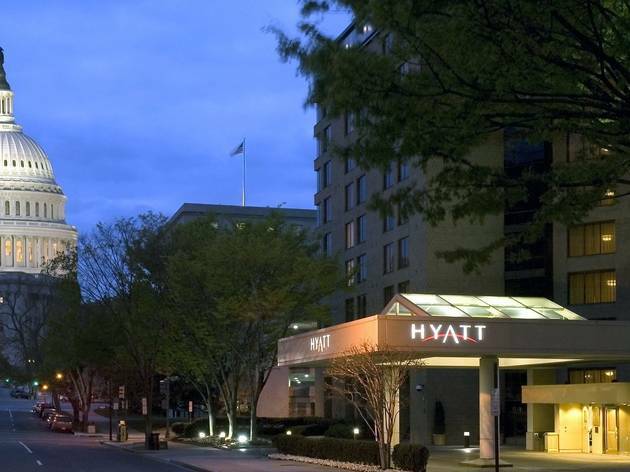 This one can’t be beaten for location, however—it’s right beside the Capitol—and its rooms are comfortable, done out in neutral colors and equipped with iPod docking stations. The club floor allows access to a lounge with complimentary continental breakfast and snacks through much of the day.